carries the title ’Dato’’ in conjunction with the DYMM Yang Di-Pertuan Besar of Negeri Sembilan, Tuanku Muhriz Ibni Almarhum Tuanku Munawir’s 71st birthday yesterday. After nearly a decade of service as the USIM Registrar, this award is a fitting reflection of his dedication and commitment to his role, especially since he was one of the founders of USIM (formerly Kolej Universiti Islam Malaysia (KUIM)). Looking through his career background, Dato’ Muhammad Haizuan began his career as a Student Consultant in UKM in 1993. In 1997, he began his Master studies in Universiti Kebangsaan Malaysia (UKM) in the field of psychology. Together with a group of pioneering leaders, he founded USIM (KUIM at that time) in 2000, with early operations focusing on establishing governance and physical development. He was appointed the Deputy Registrar of USIM in 2002, and the Registrar of USIM in 2009. Dato’ Muhammad Haizuan received his early education in Sekolah Menengah Agama Sheikh Haji Mohd Said, Seremban, and then continued to further his studies at Diploma level in Kolej Ugama Sultan Zainal Abidin (KUSZA) before pursuing his Bachelor degree in Psychology in UKM. On top of his Registrar duties, Dato’ Muhammad Haizuan is also currently holding the posts of the Secretary of USIM Board of Directors, Commandant of USIM Fire Corp, and Committee Member of the Public Universities Administration Inquiry. He had also served as a Member in USIM Tijarah Holding Board of Director, Coordinator of Malaysian Students Welfare in the Middle East, and Chairman of USIM Staff Association (Badan Kebajikan Kakitangan USIM). With full trust given by the University Management, he dedicated almost his entire time working towards excellence of the organisation by facing all types of hardship, difficulties, and challenges to bring about changes that would benefit all parties. It was no surprise when he was awarded with Pingat Ahli Setia Negeri Sembilan (A.N.S) in 2007, Kesatria Mangku Negara (K.M.N.) in 2011, and Darjah Pekerti Terpilih (D.P.T) in 2013. Pingat Jasa Kebaktian (P.J.K. ), and Dr. Razali Ab Malik, member of the USIM8i9uj Board of Director, who was conferred the Darjah Dato’ Paduka Negeri Sembilan which carries the title ’Dato’’. 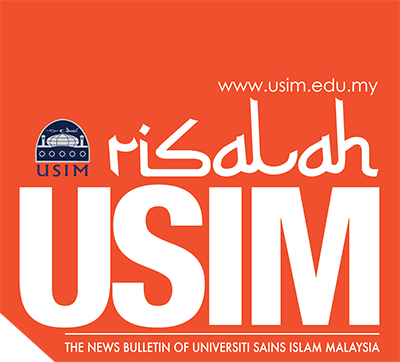 The USIM family wishes to congratulate all the award recipient this this year. May the honour further motivate them to contribute even more to the success of the University in the future.